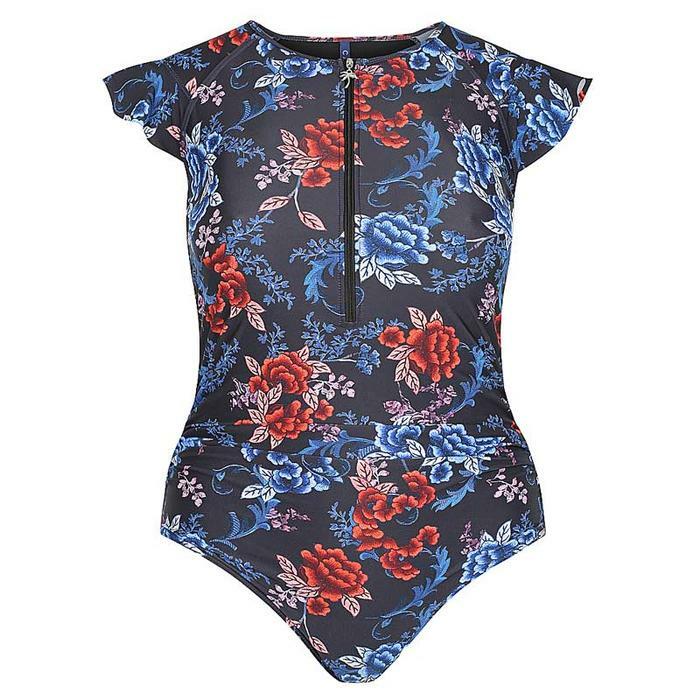 The zip front one piece will be a hit this summer with its extra sun safe coverage about the decolletage and shoulders. The ruching across the lower tummy area also helps to flatter and the mid rise leg gives great bottom coverage too. As for the shoulder frills...they're cute! This print is stunning! Shine on the beach or in the pool this summer and enjoy your best holiday ever; knowing you look and feel fabulous. Also available in plus sizes. Team it with a sun hat for extra protection. See how Cossie Confidence Crew member Kate rocks hers!